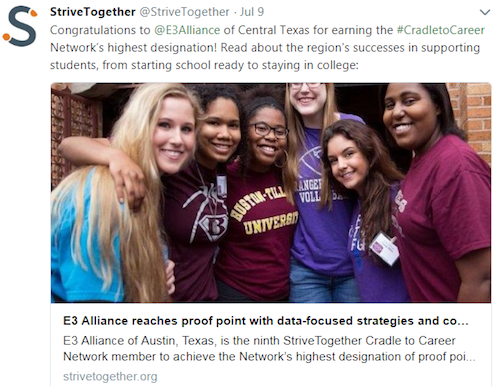 E3 Alliance and partners have been recognized by StriveTogether as a community leading the efforts to improve outcomes for children. 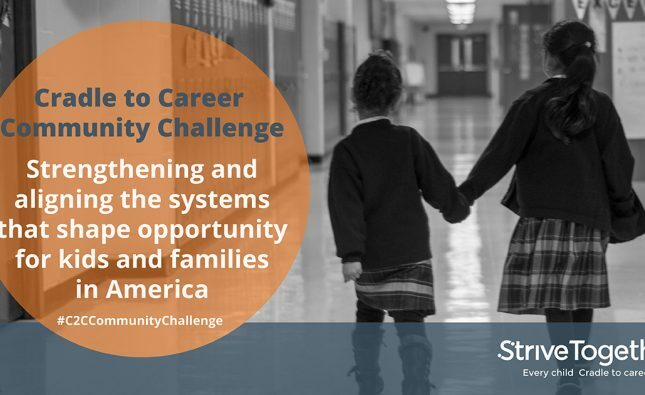 Partners, higher education institutions, business leaders, school districts, and philanthropic organizations have adopted a data-driven approach and have improved practices to ensure that all children in Central Texas have the support they need to succeed. 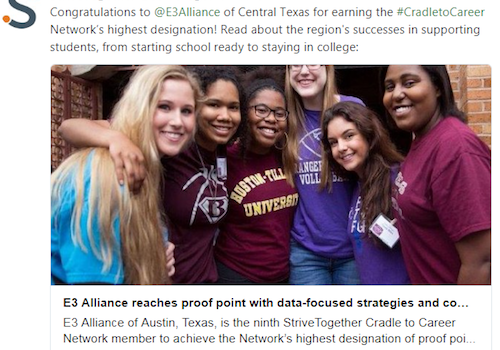 Central Texas was the ninth community nationally to receive this designation. 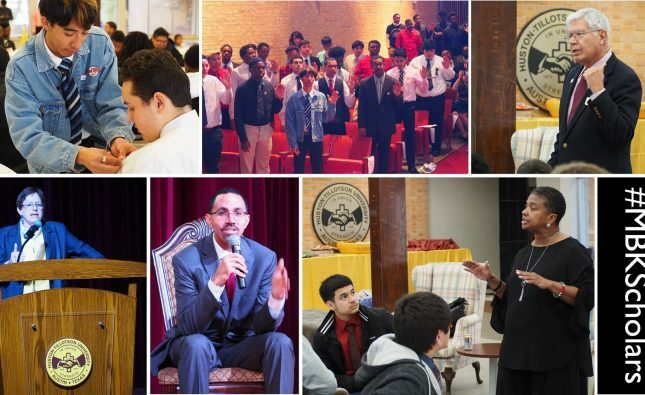 Read more about the region’s successes in supporting students, from starting school ready to staying in college here.